Corn is an ancient food discovered and cultivated by native Americans thousands of years ago. Today, corn comes in three basic types: Field corn, grown primarily for animal feed and processing into oil, sugar and syrup; popcorn, the best snack food available; and sweet corn. Planting your own sweet corn will give you the chance to enjoy a taste sensation far superior to store bought corn. Sweet corn comes in many varieties, ranging from yellow to white to bi-color, each with varying intensities of sweetness and number of days to maturity. Pick an early variety such as early Sunglow and plant after the last frost date. A mid Season variety should be planted 10 days after the early variety. Another 10 days later, plant your late season variety, such as Silver queen. Using this schedule will ensure a steady supply of corn all summer long. Start by preparing the soil after the last frost date in your area. To get a jump on the weather, cover the prepared bed with black plastic to warm the soil. Remove the plastic and plant when settled weather is forecasted. Corn will mold and be ruined if planted in cold, wet soil. Corn needs rich soil to support a large plants, so add liberal amounts of compost, rock phosphate, green sand and high calcium lime to the soil. Plant corn in blocks of rows or mounds to ensure good pollination as the pollen blown from the tassels to the silks of the developing ears. 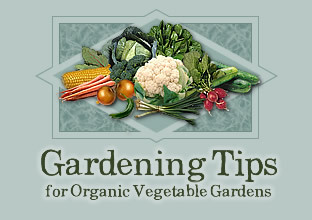 Plant 5-6 seeds per foot and thin to one every 6". Plant 1 or 2" deep in rows about 2" apart, depending on your method of cultivation. When seedlings are 6-10" tall, a side dressing of compost or manure mixed with straw (not sawdust) will supply a boost of nitrogen to the growing plants. Another application when the plant tassel will increase yield. Keep corn cultivated until the plants are large enough to shade out weeds. Corn is also useful to inter plant with coop loving plants such as sole crops or lettuce. Some gardeners use corn as a trellis for pole beans. Squash and cucumbers also thrive under a con canopy. Remember to increase soil amendments if inter planting to ensure adequate fertility. Also increase the distance between rows to allow access and avoid overcrowding. Corn ear worms present an occasional problem. They are striped caterpillars, about 1/2 to 1" long which feed on the silks, thus preventing pollination of the ear. Hand pick them, or put a drop of mineral oil on each ear tip after the silks begin to brown. Corn planted early in the season is much less likely to become infested. As the silks dry and brown, check the ears for readiness. Peel back the husk and pop a kernel with your nail. If milk spurt out the corn is ready. Pick and cook immediately or eat it raw in the garden. It is delicious!